Did GE pay U.S. income taxes in 2010? The company known for minimizing its tax bill made a muddled situation worse responding to a New York Times report suggesting it might get a refund. GE now says it has a small tax liability for 2010. There's a heated debate over General Electric's taxes in places ranging from the front page of the New York Times to the blogosphere to, of all places, "The Daily Show." In the 10 days since the Times touched off this debate, what started out as something resembling a conversation has degenerated into posturing, name-calling, and shrieking. So, did GE really not pay any income taxes on a $5.1 billion U.S. profit last year? Is it really getting a tax refund? We're going to try to answer these questions. We'll also show you some things that we've learned about GE that few people outside the company and the insular world of tax techies know. The Times, of course, made GE and its tax gamesmanship a national issue with its agenda-setting piece on March 25. (By the way, they beat us on the story; we'd been working on it for months.) Unfortunately, for all its good work, the Times story has created at least one major misperception -- that GE paid no U.S. income taxes last year and is actually getting a $3.2 billion refund from the Treasury. The Times' own headline writers got that impression too. "GE Turns the Tax Man Away Empty-Handed," read the headline on early editions, including the Times' Washington edition, the version that politicians and the DC-based news media and commentariat see. "GE's Strategies Let It Avoid Taxes Altogether," was the original head on nytimes.com, the version the blogosphere reads. Those headlines are based on the story's third paragraph, which discusses GE's 2010 financial results. "Its American tax bill? None. In fact, GE claimed a tax benefit of $3.2 billion." That seems to say that GE is getting a tax refund for 2010 -- but the words "tax benefit" are so ambiguous that it's not clear what they mean, and the article never explains them, or mentions them again. By the time a revised (and accurate) headline got slapped on the later-edition print issues -- "At GE on Tax Day, Billions of Reasons to Smile" -- the idea that the Times was saying that GE paid no U.S. income taxes and was getting a big refund was firmly implanted. 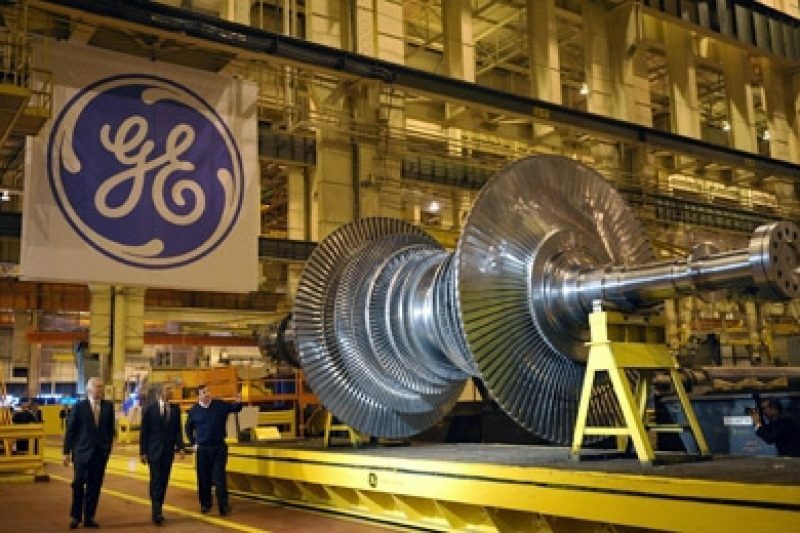 GE made a muddled situation worse by putting complicated, technical and lawyerly rebuttals on its website, tweeting them, tripping over itself, and then proving unable to explain itself in public exchanges with the likes of Henry Blodget, proprietor of the widely followed BusinessInsider blog. Or in conversations with reporters. Now, we'll give you brief answers to the main questions, but you'll have to bear with us afterward for the full explanation. Did GE get a $3.2 billion tax refund? No. Did GE pay U.S. income taxes in 2010? Yes, it paid estimated taxes for 2010, and also made payments for previous years. Think of it as your having paid withholding taxes on your salary in 2010, and sending the IRS a check on April 15, 2010, covering your balance owed for 2009. Will GE ultimately pay U.S. income taxes for 2010? After much to-ing and fro-ing -- the company says it hasn't completed its 2010 tax return -- GE now says that it will pay tax. Why should you care about this? Because we all have a stake in how this plays out. Thanks to the uproar over GE, we now risk ending up with legislation that targets GE but produces all sorts of unintended consequences. Public rage can make for bad law. For example, the Alternative Minimum Tax was adopted in 1969 amid an uproar generated by a Treasury report that said 155 wealthy families had paid no income tax. But the bill, badly designed and badly amended, has morphed into a mess that affects millions of middle- and upper-middle-class families, but not the really-high-income tax-minimizing families. They're not affected because the AMT fades out of the picture for families with income of $600,000 and up. Now, let's take it from the top, slowly, and sort this all out. One reason the Times got ensnared -- and that it took us a while to figure things out -- is that the material is confusing. Professor Outslay drew up 10 GE tax metrics for us, and could have given us at least six more. None of them show what GE's U.S. income tax bill is for a given year. We're certainly not trying to denigrate the Times. (Full disclosure: Co-author Jeff Gerth worked there for 30 years; co-author Allan Sloan once aspired to work there; ProPublica articles sometimes appear there.) We're certainly not siding with GE, which for decades has been an aggressive tax-minimizer, and could have averted this mess by explaining things simply and clearly to the Times and us and others. It either couldn't or wouldn't do so. Okay. So instead of chewing over GE and the Times endlessly, let's look at the big picture. For the first time in a long while, corporate taxes are actually a hot topic -- one that non-business types care about. Corporate tax reform was already in the air; now it's supercharged. It's been 25 years since the last big tax reform legislation, which cut the corporate rate to 34 percent from 46 percent and eliminated a lot of deductions and tax breaks. But a quarter-century of pushing by businesses -- of which GE has been among the most aggressive -- has left us with both the lower tax rate (now 35 percent) and lots more deductions and shelters and other tax-reducing tactics than the 1986 legislation envisioned. GE's current idea of "reform" as expounded by John Samuels, the head of its tax department, is to cut the rate, but to allow some of GE's major tax-minimizing maneuvers to remain in place. It's hard to imagine anything like that happening now. We've already had more than enough heat about corporate taxes. What we need now is some light. And an appreciation that this problem, like GE's tax situation, is more complicated than the shriller voices among us would have you believe.